Some things take you by surprise. Like the train arriving on time when you really need it. Your hand luggage being within the allowed weight range. Or your eyeliner being on fleek on a hangover morning. When Elliot set up his Instagram-Account "The Urban Turner" I was surprised. 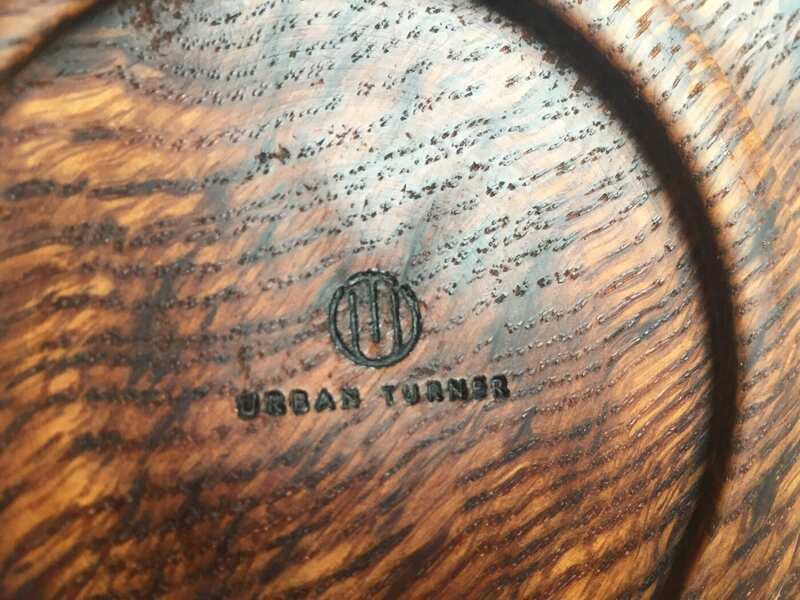 Not only about the fact that he had gotten into woodturning, but also about how incredibly beautiful his bowls and plates are. 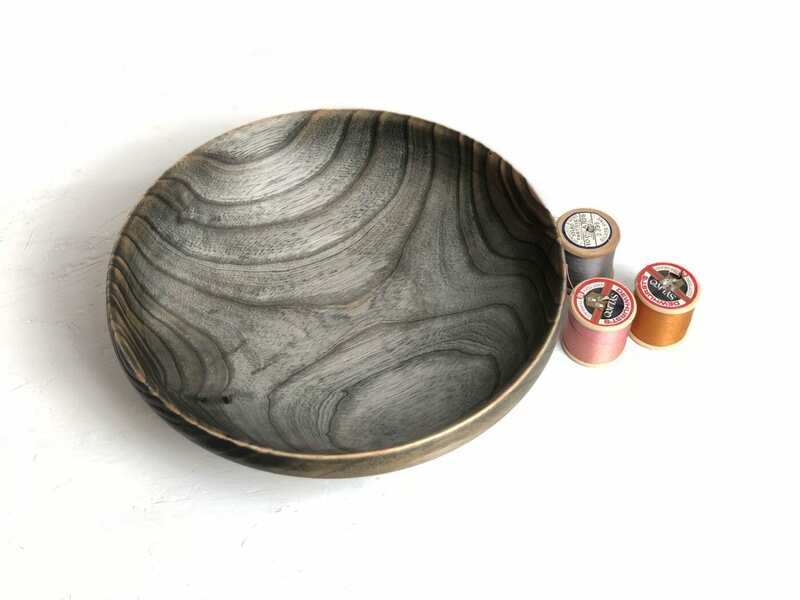 Shiny, rough, big, small, flat plates or deep bowls, using all kinds of wood and playing around with the material - he manages so well to tickle out the very core of each piece of wood. And he has just started off with this craft. Obviously I had to find out more about what set his passion on fire. When did it start? 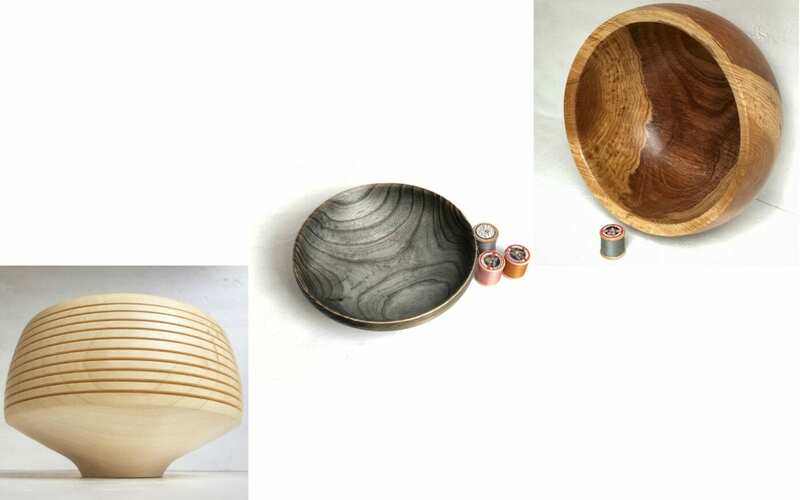 Why woodturning? What's coming up next? Let me share the beautiful art and craft that Elliot is creating with you. I hope very much that you find it just as stunning as me. Without further ado, let's hear Elliot, my favourite Welsh guy. What happened, that got you into wood-turning? 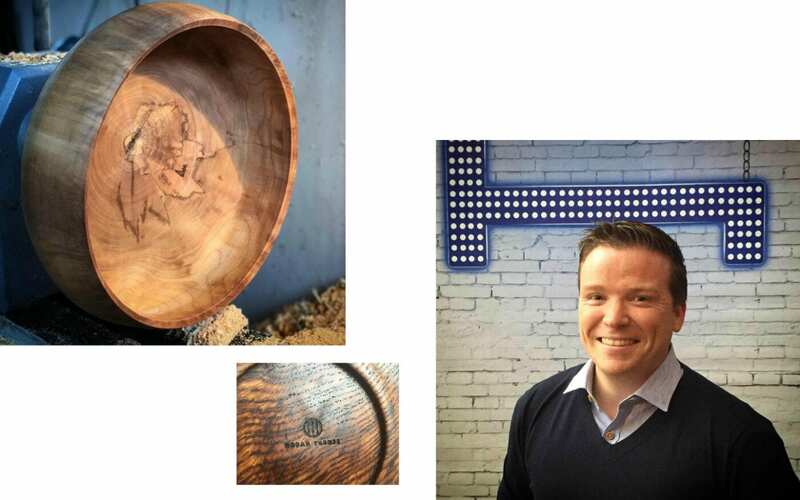 I actually come from a line of makers, my father being a woodwork teacher and my maternal grandfather was an engineer and woodcarver in his spare time, so I had always been surrounded by wood and the spirit of making, creating and probably the most important element of ‘repair rather than buy’. I believe this final element is what has helped me look at raw materials in a different way to most people, and see what lies within them, rather than looking at what is broken – kind of a ‘glass half-full’ attitude. 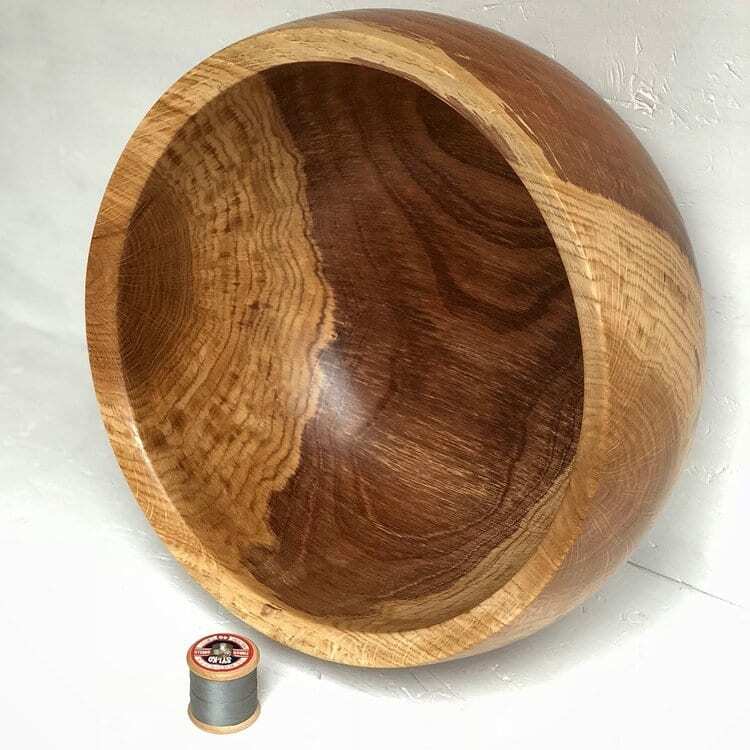 As for how I got started in woodturning specifically, I can probably trace my interest back to my time at Secondary school where there was a HUGE lathe sat in the corner that I never once saw switched on. I must have been about 11 or 12 years old, and really did lust after the possibilities it held. It taunted me for years, I would sit in the classroom and never get to play with it. Then I left for university, got a job and I suppose life, rent, and the other trappings of the day-to-day helped me forget about my lust for the lathe. Then, in 2015 I found myself with 2 children, a demanding job that paid very well, a nice home to call my own and a flame reignited in my head. 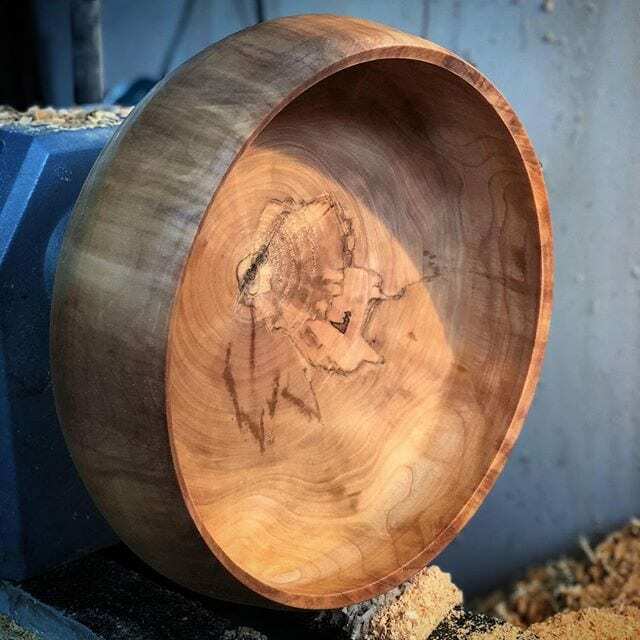 I had the money, I had always wanted to try woodturning, so I thought ‘screw it, I earn money to be able to enjoy life rather than see it race past me’, so I went online, bought a lathe and then committed to finding the time to learn. What do you get from your craft? 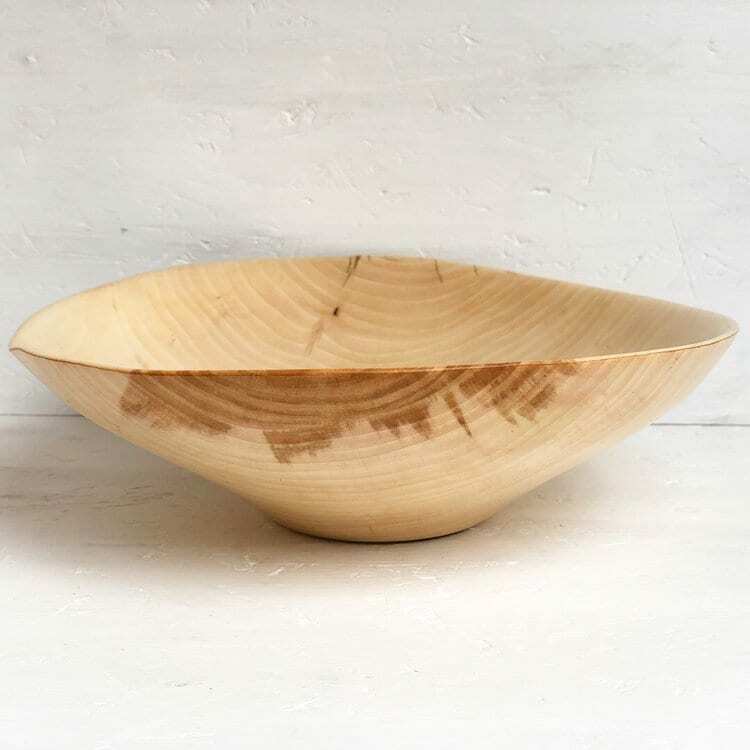 There is a sense of calm concentration and fulfilment of taking something as basic as a lump of wood, and crafting it into an object, whether utilitarian or just a piece of art. In my career to date (Public Relations, in case anyone was wondering), while the work I did was valuable from a corporate perspective, when I started to break it down in terms of real-world achievement and accomplishment, all I could say that I did was respond to a mountain of emails, and not a single thing was ‘created’. 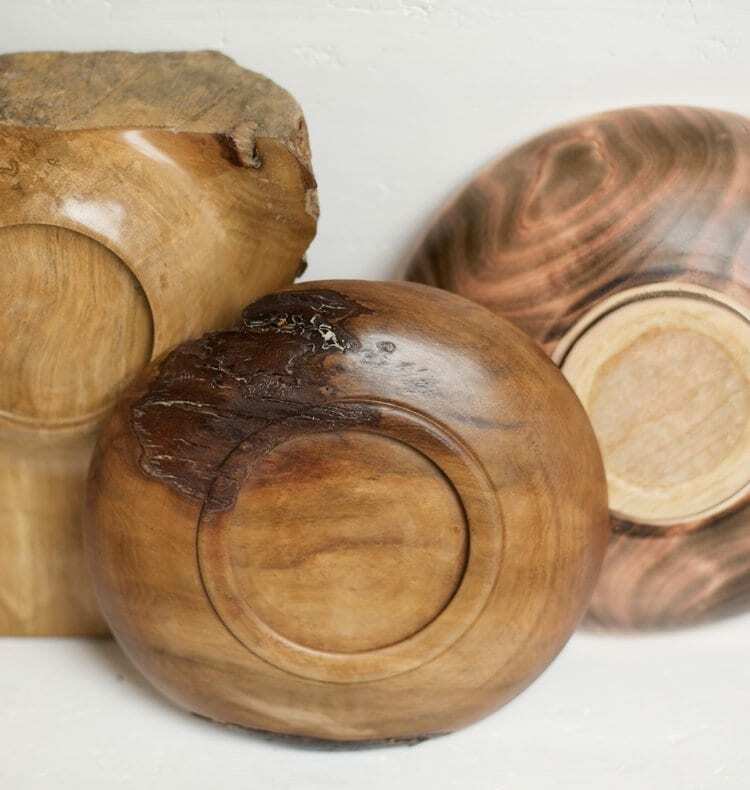 There is no legacy, nothing I poured my soul into and I’d say 90% of it was stress creating – three things that woodturning is the EXACT opposite of for me. I get to create heirloom pieces that will outlast me by a long way. 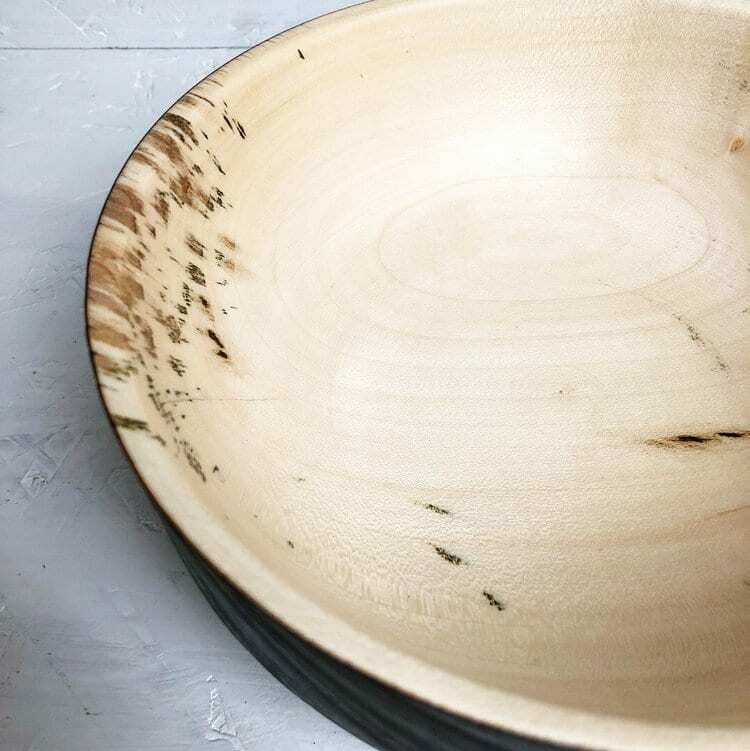 Every piece has a piece of me in it, and oh is it relaxing…except when I get it wrong and my beautiful bowl turns into a flying projectile spinning at about 1200rpm…that is the 10% stress part…is more and more rare now though, honest. How did it feel to sell your first handmade item? Selling my work is a bitter-sweet moment. I am not what we call a ‘production turner’, I do not turn the same thing over and over again or concentrate on volume. Every piece I create is unique, and as previously mentioned, has a bit of ‘me’ in it. Selling has to be part of the process, I understand that, and it fills me with immense joy that someone else has liked my work enough to part with their own hard-earned cash to own and cherish it, but I do struggle to say goodbye. Every piece I create is unique, and as previously mentioned, has a bit of ‘me’ in it. The first piece I sold actually went to Hong Kong, quite a landmark moment for me. 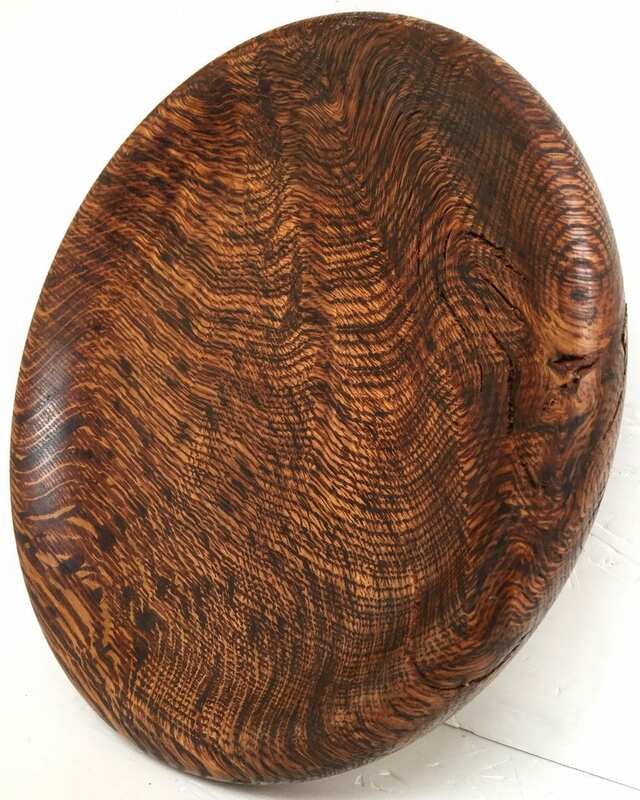 It was a bowl made from pear wood, that I had given a very worn finish and it had beautiful warping and bark inclusions, a piece as far from ‘perfect’ as you could imagine, but it looked exactly as I wanted it to look. 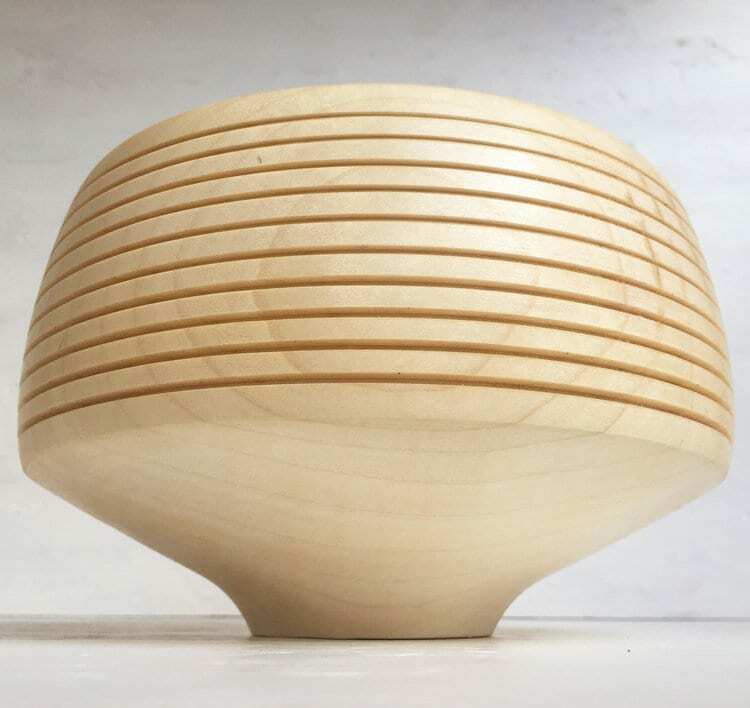 It was a key moment to understand that my work was enjoyed and appreciated by others, that not everyone was looking for a perfectly round, shiny wooden bowl – they want something with character, something unique, something that celebrated being handmade rather than trying to hide it, something that I was making. What has been the feedback, both from customers, but also from friends? I think ‘surprise’ is probably the most frequent reaction from people who know me. I am known for being a bit of a joker, I make light of all situations and have never had a creative outlet that people got to see – other than my talent for late night drinking games (those days are behind me now….honest, I am a grown man…at least so my mother keeps reminding me). 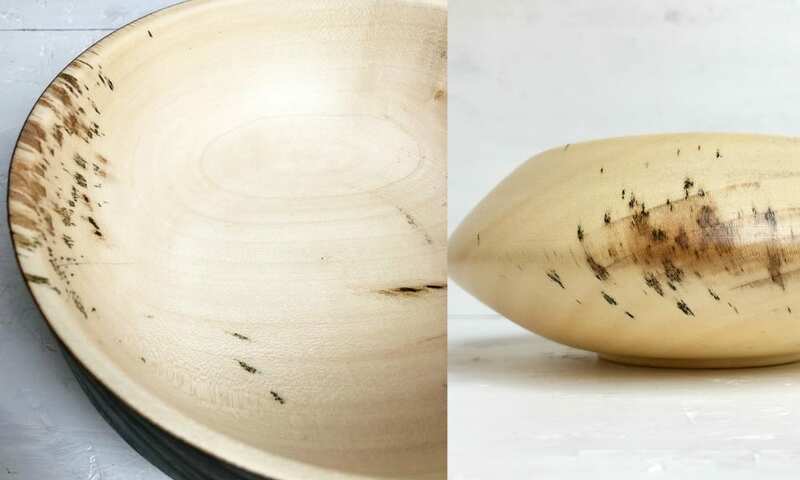 When I tell people that I made the thing in their hands that they are currently caressing, fondling and smelling (yes, we are still talking bowls here! ), there is almost always a few seconds of pause and bewilderment before they ask me to clarify what I just said. 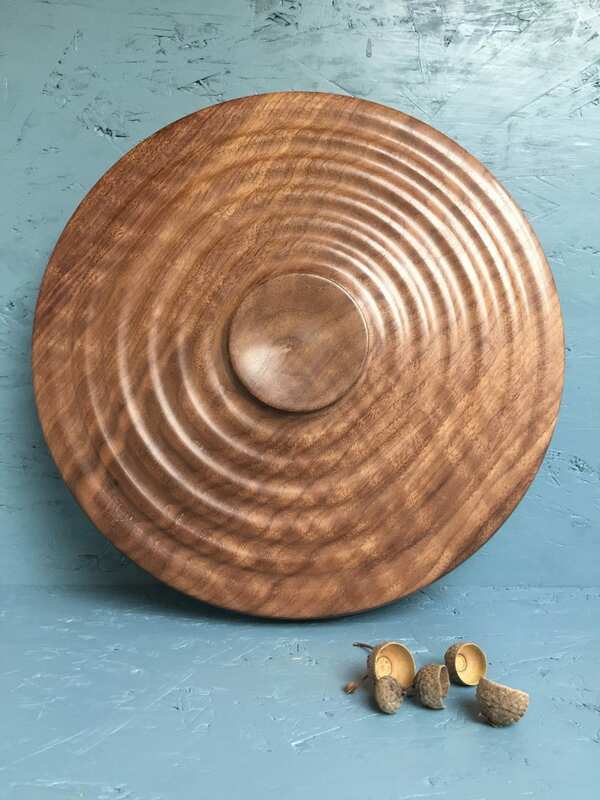 A common reaction that has taken me a bit by surprise is genuine encouragement and to a degree, a bit of envy (I don’t mean malicious envy), not for being a woodturner, but for finding a passion and running with it. I think a lot of people are closet creatives, have found themselves doing a day job that serves to pay bills, not one that is fulfilling in any other way. Inside they have a flame that is slowly extinguishing, waiting for the day when they can say ‘I am too old to start that now’ or they are in a daily battle to hold something back as it won’t bring in the money. I was that guy….until I wasn’t. I think a lot of people are closet creatives, have found themselves doing a day job that serves to pay bills, not one that is fulfilling in any other way. Inside they have a flame that is slowly extinguishing, waiting for the day when they can say ‘I am too old to start that now’. In which countries are your products most popular? 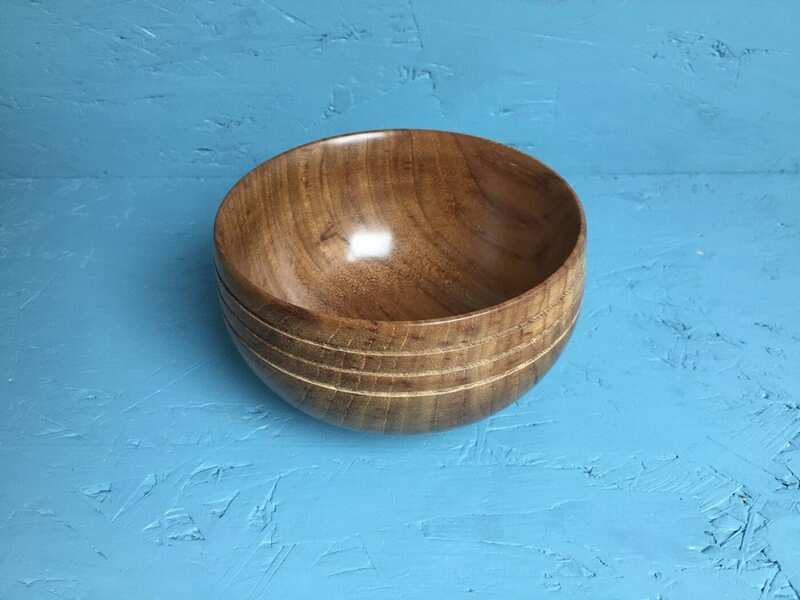 Well, as mentioned, my first bowl sold to someone in Hong Kong, and others have gone to the US and France, but at the moment, the UK market is keeping me busy. I have found that approaching interior designers directly and making the effort to go visit them with a range of products to touch and feel is the best route to selling. I have steadily been growing my brand on Instagram (check out the_urban_turner) and there have been some surprises as to where my audience is based. London, San Francisco, Paris and Tehran seem to be the cities where I have the most followers. Three of those destinations are easy to explain, having lived in Paris, currently living in London and working with many SF based companies in the past, but the interest from Tehran remains a mystery to me. 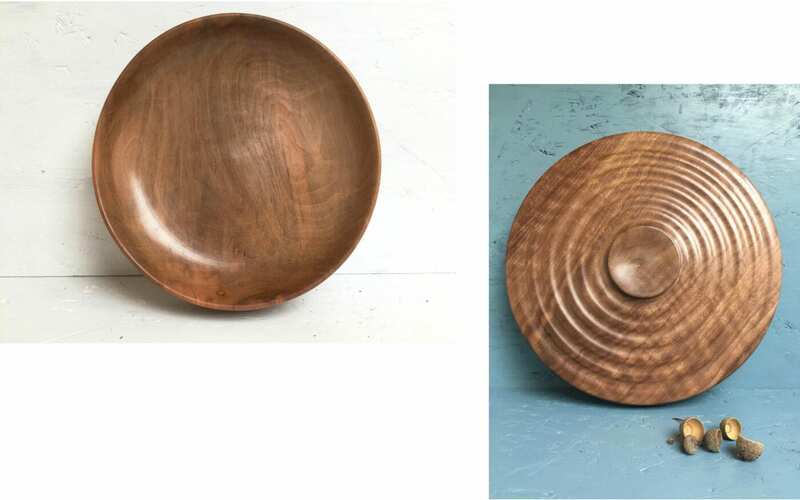 I have sold a number of beautiful walnut key and coin dishes, so they generally get used as key and coin dishes in hallways...but beyond that, I know one is used as a place to keep their Whisky cooling stones, there are fruit bowls, specific porridge bowls and others are general catch-alls or simply ornaments on a shelf. My hope is that whatever they do and whatever they are used for, they are displayed proudly and become a talking point for visitors to their homes, or bring smiles when gifted as presents. 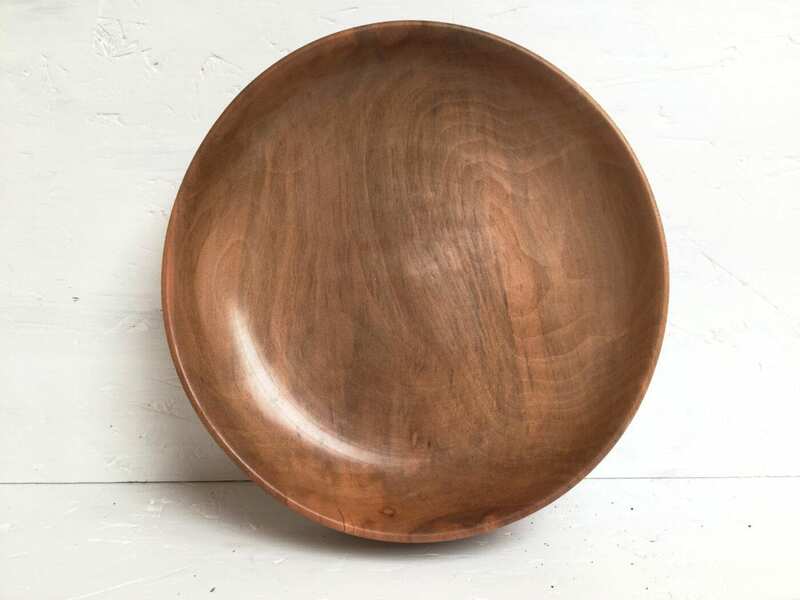 What surprised you most once you started your first bowls and plates? That I could actually do it! Starting out, with no guidance beyond some YouTube links and a basic understanding of which is the pointy/dangerous end of a very sharp chisel, was a frightening concept. But after many mistakes and a growing list entitled “don’t do that next time” (which is still growing by the way), I got to the point where I had a finished product I would be happy to put my name to. I had waited almost 30 years to try this craft, I could say it was worth the wait, but I wish I had started much sooner! 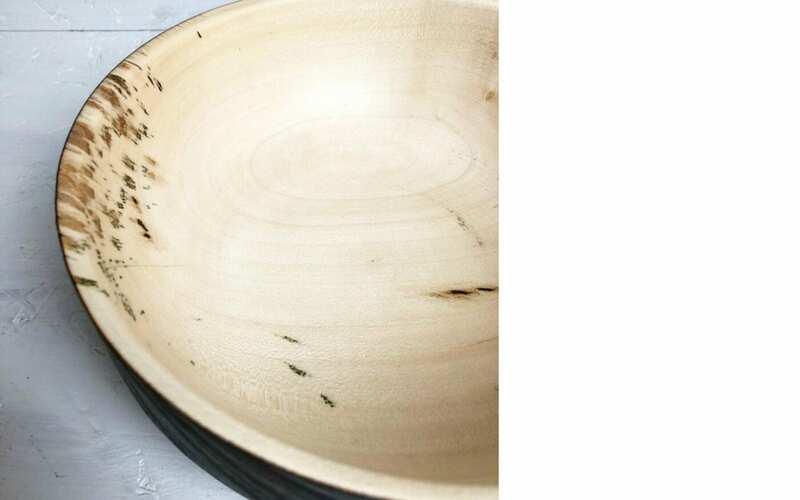 Why did you wait so long to start wood-turning since you write on your website that you had it in you for 30 years? This questions should be asked of anyone who has wanted to do something, but never really ‘got around to it’. There is almost always a reason, and that reason is almost always made up and ill-defined. My ‘lust’ for the lathe during my time at secondary school (as previously mentioned) fell to one side as education became the singular focus through university (secondary to parties, and playing American Football). I then put all my attention into getting a foot-up in the job market, promotions, renovating a house or two, keeping my two children alive and suddenly I was in my mid/late 30s! Life does that, but I woke up, late 2015 and realised I had a bit of disposable money in the bank and thought about what I’d like to do with it. It is at that point the fires ignited, and my lust for the lathe resurfaced. I could find no good reason to not invest that money in myself, in something I had always wanted to do and in a new skill, so a week later I had a lathe in the garage and was scavenging wood from neighbours for my first failed attempts. And the rest, as they say, is history...or my future...well, you know what I mean. What will be your next steps? Any big project coming up? Well, not that I want to jinx it, but there are actually big plans afoot. There are plans for a much bigger workshop and a wider lifestyle change as we move the family to the countryside with plans to start up a small craft collective in an old barn we have purchased. Early stages, and there are many hoops still to jump through, but I am VERY excited about this next step for me, the business and of course my family. Any advice you would give someone that has the lurking feeling that there is more to explore? I’d say that the fear is real, the apprehension is justified, but it will only grow with time and runs the risk of turning into disappointment, and self loathing...ok,ok, I went a little far there, this isn’t an over-hyped self-help book, but I would just say ‘have a go’. Woodturning will never make me financially rich, woodturning will never deliver me the sea-view property in Brittany or the 1967 Splitscreen VW camper I have always dreamed of, but having done it, and now doing it more and more, I feel richer, I feel more complete, and I find myself to be much less materialistic. Can I explain that? No. Do I wish it for all humankind? Hell yes!